Apart from its other uses, Google is also a social barometer. For instance, if you search for ‘dalit groom’, most results will show news reports about dailt grooms getting beaten up. These incidents are reported from dalit weddings, where the grooms are targeted for the ‘subversive act’ of riding a horse. 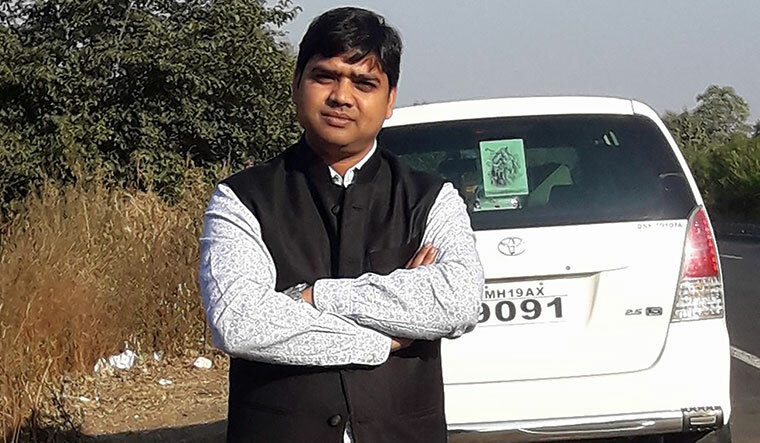 On March 29, a 21-year-old dalit youth was hacked to death in Gujarat’s Bhavnagar district, allegedly because he rode a horse his father had gifted him. Last year, another young dalit was beaten up for growing a moustache. This unsettling trend underlines the violence dalits are subjected to even 70 years after independence. But dalits have now started vigorously exercising their rights. It is visible in their songs, poems, books, and even politics. Songs on Dr B.R. Ambedkar and the Constitution are being set to adrenaline-pumping music. The new narrative questions their portrayal only as victims. One of the beats of defiance comes from a vocal powerhouse in Punjab. 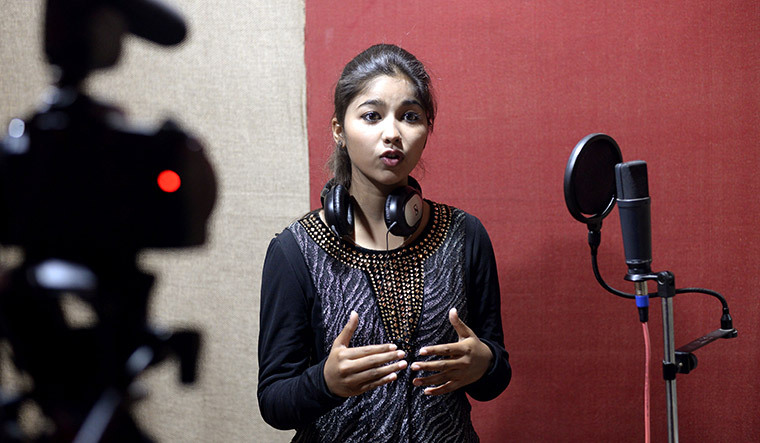 Ginni Mahi, an 18-year-old music student, has become the new pop sensation. ‘Chamar Pop’ is being recognised as a new genre as her songs describe the opulence of the Chamar community, comparable to the Jat Sikhs who have been traditionally the heroes of Punjabi songs. A second-year music student at HMV college in Jalandhar, Ginni has penned odes to Ambedkar, Guru Ravidas and the Constitution, and most of them have become chart-toppers. In her songs, Ambedkar is referred to as a tiger and a warrior. Many of her songs are dedicated to the soaring confidence of the community, and they have become the new anthems of dalit assertion. “These songs are part of the mission we follow. Whatever may be the demands of the people, we must carry on talking about the Constitution and Ambedkar,” said Ginni. Her father, Rakesh, had spent time with Kanshi Ram, the founder of the Bahujan Samaj Party, and was inspired by him. He, however, does not allow his daughter to sing at political events. Ginni usually performs at cultural and community functions. In the Hindi belt, the musician duo of Hemant Kumar Bauddh and Tarannum are making waves. Their performance at Bhima Koregaon, during the function to commemorate the 200th anniversary of the victory of the Mahars over the Peshwa army, was widely appreciated. Like Ginni, Tarannum was also influenced by her father, who was associated with Kanshi Ram. At Dhibra village near Patna, the all-women Sargam Mahila Band is breaking caste barriers and challenging patriarchy. The ten dalit members of the band are trained to play drums, despite the initial opposition from their families. “Our families have now realised the change as cars come to pick us up for functions and drop us back. Our financial condition has improved,” said Kavita Devi, a member. These women were trained by Sudha Varghese, who runs the NGO, Nari Gunjan. “Once they learnt to play, their confidence soared,” said Varghese. Apart from music, books have been another source to address the gap in educating people about dalit icons and history. Shanti Swaroop Bauddh, who runs a publishing house called Samyak Prakashan in Delhi, spoke about his experience. “There are visitors who cannot stop their tears looking at books on dalit icons. Those are tears of joy and pride. It is an andolan for the marginalised,” he said. Swaroop said he often faced threats. He recently got a letter asking him to stop publishing books on the Ramayan. It warned that his bookstore would be inspected and if something ‘objectionable’ was found, he would meet the same fate as Gauri Lankesh. The letter said selling and writing books were the work of Brahmins. Swaroop got his name from Ambedkar himself, who was close to his father. Samyak Prakashan has over 1,200 titles, of which 200 are translated ones. Most of the translated works are Marathi books written by dalit scholars and people close to Ambedkar. Another entrepreneur in the literary world is Ashok Das, who runs Dalit Dastak, a Delhi-based newsmagazine dedicated to the community. “The mainstream media tend to ignore real dalit issues. Even when it covers such issues, it has a condescending tone,” said Das, who graduated from IIMC, New Delhi. “The only stories they publish are of atrocities against the community. That is when a dalit is identified.” Das said the English press was slightly better than the vernacular one when it came to dealing with casteism in newsrooms. “A dalit may fit in, although he cannot rise to the top,” said Das, who left his job at a mainstream media house. Social media, meanwhile, has come as a boon to dalits. Recent incidents of atrocities against dalits stirred so much emotion because of the reach of social media. Online platforms like Dalit Camera, Round Table India, Dalit History Month and Ambedkar Caravan are the new voices articulating the thoughts of young, educated dalits. Ravichandran Bathran, founder of Dalit Camera and social scientist at the Indian Social Institute, Bengaluru, said there was great anger among dalit groups. “Now dalits join their own caste groups to fight discrimination,” he said. Bathran cautioned that it was important to recognise that the real fight was against the discrimination, and not just against the person who was discriminating. Spreading the word: Ashok Das left his job with a mainstream media house to launch Dalit Dastak, a newsmagazine dedicated to the community. Talking about his initiative, Bathran said the Dalit Camera captured whatever the dalit movement was going through. “The YouTube channel has students and activists armed with cameras to record key events ignored by mainstream media,” he said. “The work done by the channel is followed by different platforms.” In the film field, too, there has been a dalit resurgence. Several filmmakers like Pa. Ranjith (Kabali) and Nagraj Popatrao Manjule (Sairat and Fandry) have had dalit protagonists in their films. As dalit consciousness increases, there is also an effort to celebrate dalit entrepreneurship. 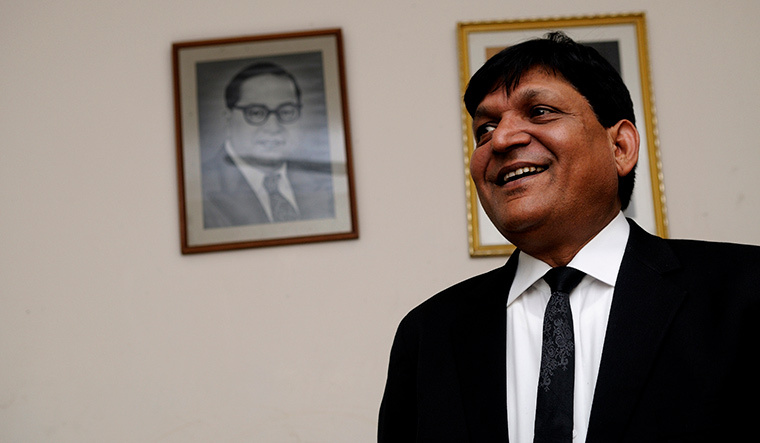 Dalit scholar Chandrabhan Prasad recently launched his line of dalit food and clothes. “If you look at the eating habits of our ancestors, you will realise that they survived on very little. So, we are looking at organic food like millets and barley,” said Prasad. He said the current banking rules were loaded against dalits, as most of them were first generation entrepreneurs. They cannot afford big collaterals or bank guarantees, and unlike other communities, there are no families or friends to chip in. Several dalit women activists and organisations have also come together to make their presence felt. The Dalit History Month is running a campaign on social media on icons and key events associated with dalits. Asha Kotwal, general secretary of the All India Dalit Adhikar Manch, said dalit icons were missing from history books. “We started addressing the problem by holding the Dalit History Month, in which the history of icons is talked about and propagated,” she said. But she warned that the brazenness of anti-dalit attacks has been increasing. “There have been instances where perpetrators have been committing violence against the victim again and again. Dalit women are hurt the most because of caste and patriarchy,” said Kotwal.